Having a dishwasher can make life a lot easier, but to get the most from your purchase, you’ll need to get a machine that is a good fit for your needs. 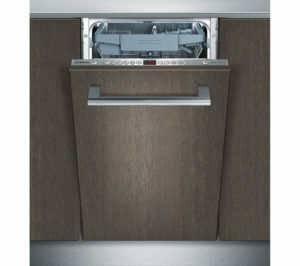 In selecting the right dishwasher for your home, one point to consider is the size of the machine. Of course, you have the full-sized models, but for many homes, these will not be the right option. 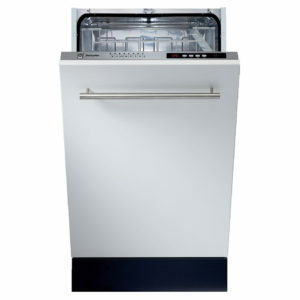 As a solution for homes that have less space, slimline dishwashers can be the perfect option. The average slimline model can fit between 8-10 place settings, so it can still wash a good amount of dishes, and they perform just as well as the larger models. These machines can also be great for the average family. You may not need to wash as many dishes as a full-sized machine will accommodate, so for many homes, the size of the slimline models will be a better match. 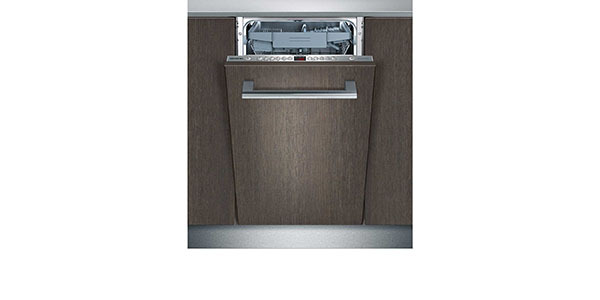 Another great thing about slimline dishwashers is that you also have the option to go with the integrated design. If you want a machine that fits in with your fitted kitchen, you have a great selection of built-in slimline dishwashers to choose from. In this article, we are going to focus on the built in slimline models. We are going to make our recommendations for the best integrated slimline dishwashers, and provide a short overview for each model that we feature on this page. Before we get to the business of recommending the best machines that fit in this category, we think that it is important to understand some of the other points that can help a person when trying to select the right dishwasher. 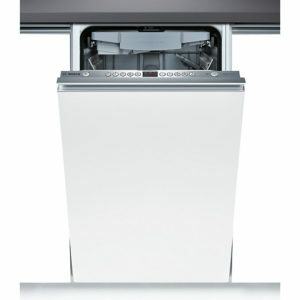 Knowing that you want an integrated slimline dishwasher is a good start, but there is definitely more to consider. In this section, we are going to take a quick look at some of these points. 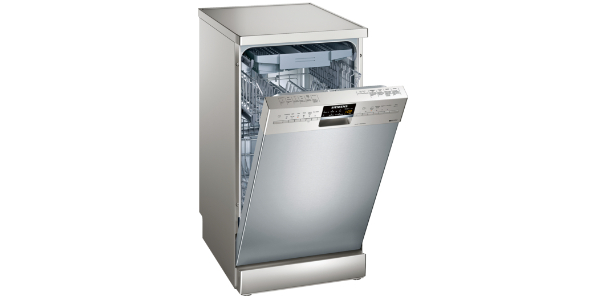 If you want a more comprehensive view of the points that you should consider, we recommend reading our complete dishwasher buying guide. 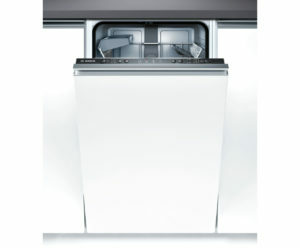 You can also read all of our slimline integrated dishwasher reviews here. Even with these smaller machines, you do not have to compromise on performance. 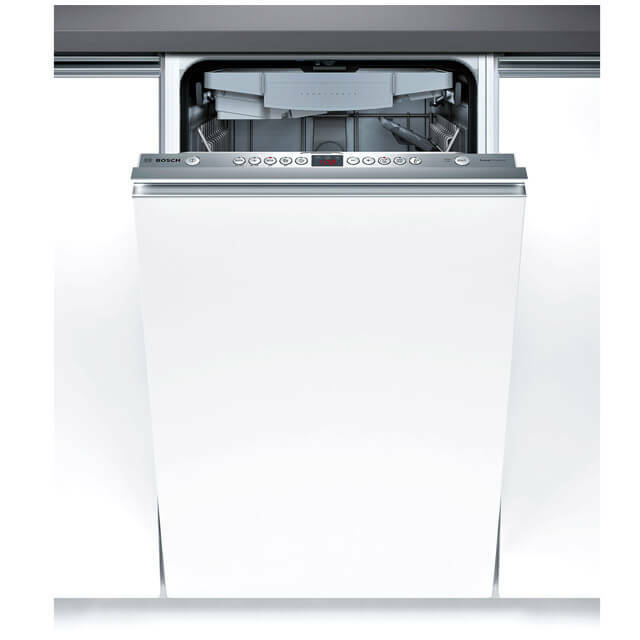 These models do just as well in regard to their cleaning capabilities, and you can find slimline dishwashers that have all of the same features and programs. Other points to consider concerning performance include the cycle times, the performance of specific features and how well they dry dishes. Just like with the large machines, you have a great selection of programs and features. Look for things like glass care, sensor washing, zone wash, time saver, a quick wash program and anti-bacterial features and programs. 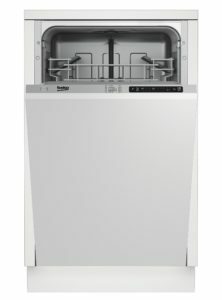 Obviously, an integrated slimline dishwasher is not going to be able to wash as many dishes as the larger machines, but they can still hold a decent amount. As I mentioned earlier, these machines generally range from 8-10 place settings in capacity. Regardless of whether you go with a slimline machine or not, the design of the racks is important. If the racks are designed well, the machine will have a versatile interior, and it will be easy to load. Even though these machines are smaller, you can still find a great range of adjustable features for the racks. You can look for things like the third level cutlery tray, height-adjustable top baskets, folding tines and tip-up compartments. Below you’ll find a list of our top recommendations so you can take a look and see which might work for you. Under each listing you’ll also notice a price comparison table listing the best deals on offer at a range of online retailers including Currys, ao, John Lewis, Argos etc. 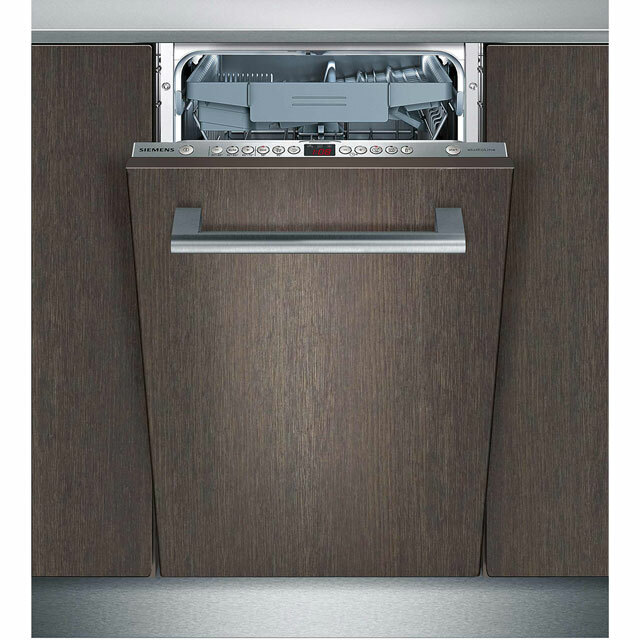 With some of the best cleaning capabilities and a range of advanced features, the Siemens iQ-500 SR66T090GB is without a doubt one of the best integrated slimline dishwashers that you will find. This model may be a little expensive, but when you consider everything, you really do get great value that makes it well worth the cost. The range of features and programs that you get with this iQ-500 model make it a versatile machine that offers a lot of options. Among the six program options, you have three sensor wash settings. One is your normal wash program, and then there is one for low temperature and another for a high temperature intensive wash. Beyond that, you have programs for eco, quick wash and pre-rinse. The added features on this model include the VarioSpeed time saver, a hygiene setting and an intensive zone wash. While this machine may have a nice range of advanced features, it is very easy to load and get started. The baskets offer a great range of loading options, with folding tines and racks, and this model has the third level cutlery tray and a top basket that is height-adjustable. The controls are laid out on the top of the door panel, and they are very easy to understand. As a nice additional feature, this machine also has a light that projects a countdown timer on the floor. 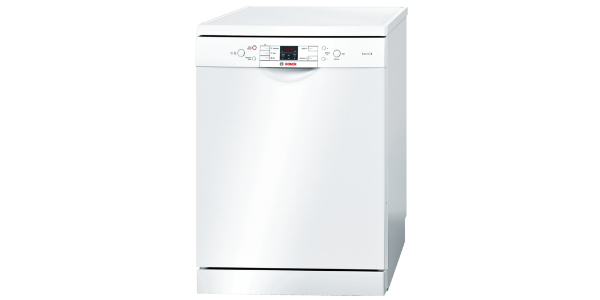 If you are looking for great value for your money, there are few built in slimline dishwashers that come close to the Bosch Serie 6 SPV69T00GB. It is a little on the pricey side, but this machine can fit up to ten place settings per load, and it comes with a good selection of programs and features. In addition to that, this machine also offers great efficiency when it comes to water and electricity. The cleaning capabilities of this Serie 6 machine are first rate. For washing your dishes, you have six programs, with three of them being for sensor washing. It has the Bosch VarioSpeed time saver feature, a hygiene wash feature and it also has an intensive zone wash that can be added to the bottom basket. 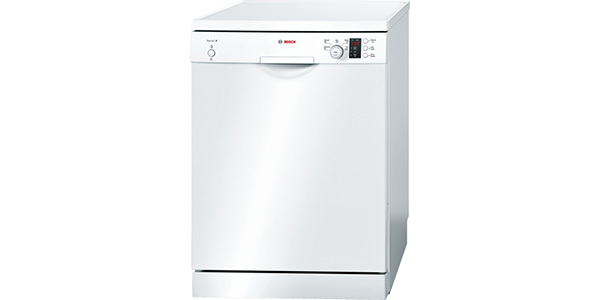 This Bosch slimline integrated dishwasher also scores well in regard to its ease of use. The interior is designed to get the most out of the space that you have, and the racks are very versatile. The third level cutlery tray is a nice feature, and the top basket can move up and down to three different positions. All of the pushbutton controls are easy to understand, and this machine also has the TimeLight feature for projecting the countdown timer on the floor. With the Neff S58T40X0GB, you have an integrated slimline machine that is built to last, and it delivers reliable performance. This dishwasher can fit up to nine place settings per load, and the interior is managed well with a wide array of adjustable racking features. 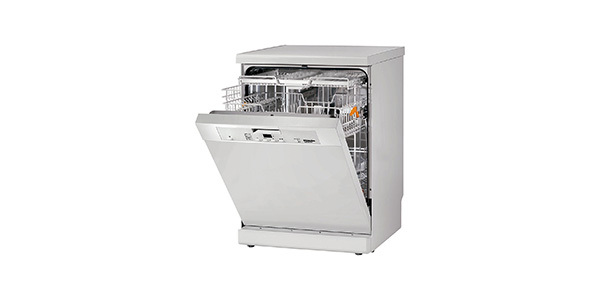 The S58T40X0GB cleans just as well as many of the top full-sized machines, and, while it is a bit limited on the features and options, it is a high-quality dishwasher that comes with all of the basics. 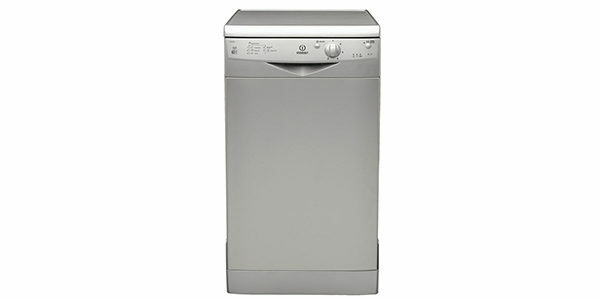 This model has a sensor wash setting for your normal washing, then it has an eco wash, a quick wash and a pre-rinse. While there is no intensive wash setting, the sensor wash does have a maximum temperature of 65°, so it should be sufficient for most of your home dishwashing needs. As an additional feature, this machine does have a time saver, so you can cut some of the long cycle times down. Loading this machine is nice and easy. It has foldable racks in both baskets, it has a special tray for washing knives, the cutlery basket is removable and the top basket can be adjusted in height. This appliance has a simple control panel on the top of the door. You have buttons for all of the features and programs, and there is an LED display that provides all of the necessary feedback. As an additional helpful feature, this model has the InfoLight. When the dishwasher is running, it projects a dot of light on the floor. In this price range, you are going to find few integrated models that are as reliable as this one. The Bosch Serie 4 SPV40C10GB is a high-quality machine that provides the user with great cleaning results. 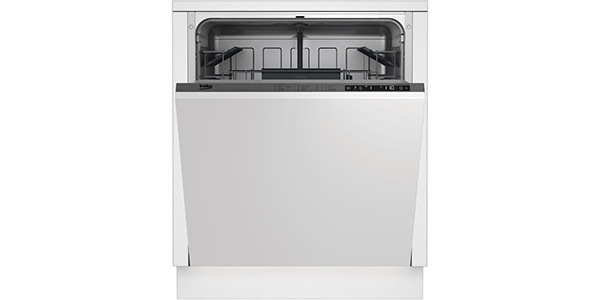 While it may not have all of the features and functions that you would expect from some of the more expensive integrated dishwasher Bosch models, it is a capable appliance that comes at a good price. This is a nice slimline model that hits all of the most important points. It has a selection of wash programs that includes, intensive, eco, quick wash and pre-rinse, and it has the Bosch VarioSpeed time saver, so you can cut down some of the long cycle times. Being a Serie 4 machine, the interior is not quite as versatile as the more expensive Serie 6 models, but the SPV40C10GB can fit up to nine place settings, and it is pretty easy to load. The control panel on the top of the door is easy to understand, and users should not have a hard time getting this machine ready to go. As one negative point, it does not have a display, so the only feedback that you get is from the indicator lights. As a budget-priced model that still performs well, this Beko integrated slimline dishwasher offers exceptional value. This dishwasher can fit up to ten place settings per load, and it comes with all of the basic features and settings that you could need. While there might be a few points that could be better, it is hard to argue that you could do better for the price. Even though this is a low cost machine, you do not have to compromise on the cleaning capabilities. This machine has six program options. It has an intensive wash, clean & shine, quick & shine, quick wash and it has an eco program. For your normal programs, the cycle times are pretty good, but the eco cycle does take more than three hours, which is quite a wait. 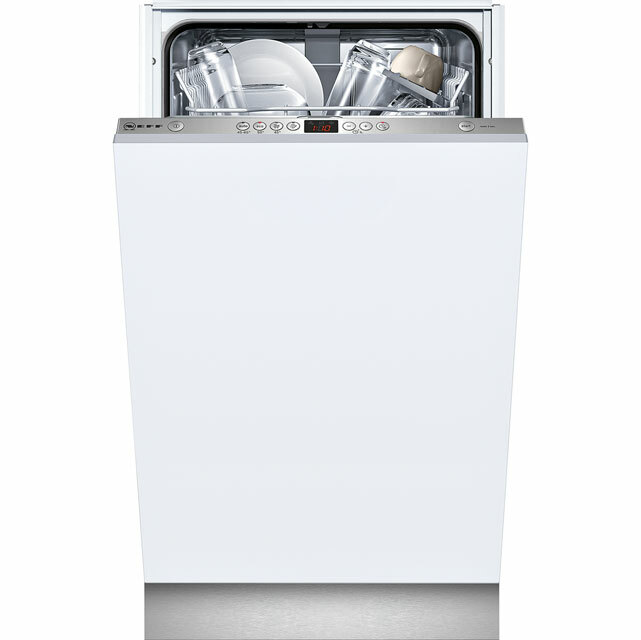 Beyond your standard cycles, this model also has a half load feature, so you can wash less when you need to. This machine is easy to use, but this is one of the areas where this model does not do as well as the other machines on this list. With better design for the controls, and racks that are little more versatile, it would score better. That said, it does have some good adjustable features for the racks, and it does perform well for almost all of your dishwashing tasks. Which Table Top Dishwasher Should You Buy? Which are the Best Silver Dishwashers in 2017?